After nearly 2 months of waiting, today I finally got the official word that I passed the clinical skills portion of the USMLE Step 2 exam! 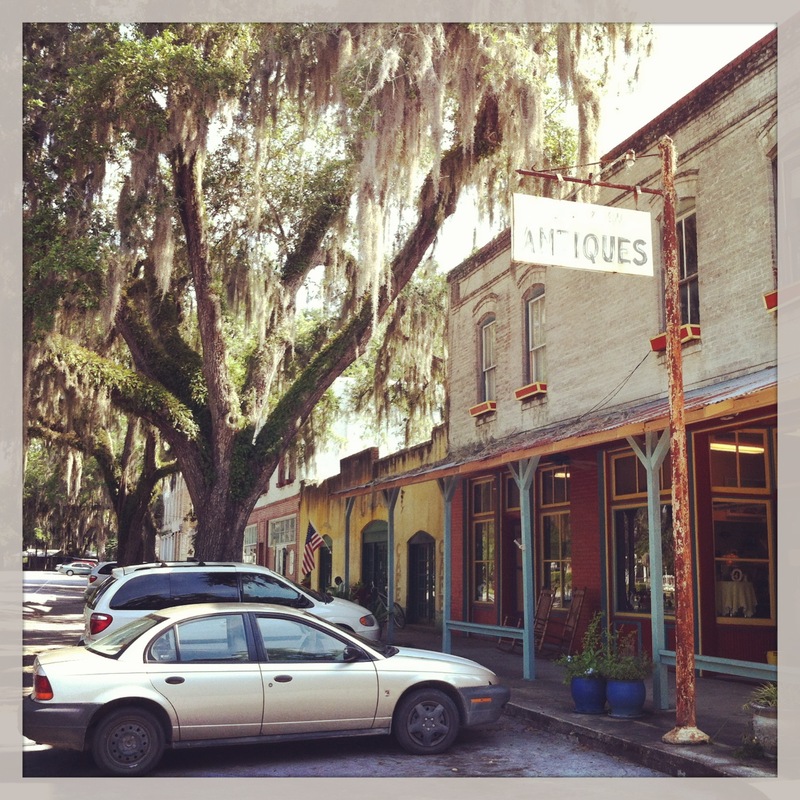 This is a huge relief, especially after such a long wait, and I celebrated today by going out with my brother Jimmy and my sister-in-law April to explore the cute little town of Micanopy, just south of Gainesville. 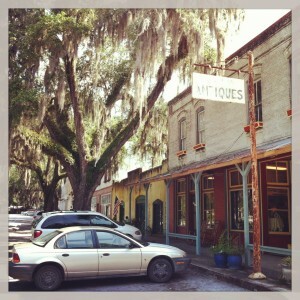 Micanopy is rustic and beautiful with its historic houses dwarfed by grand oak trees filled with Spanish moss. Going there and spending time with family was a real treat for me. The USMLE Step 2 CS (where “CS” stands for “clinical skills”) tests you on your skills with patients. The exam is administered only at 5 different special testing centers in the United States. I went to the one in Atlanta, as this was closest to home. The testing centers are set up with patient rooms, similar to what you’ll find in a real clinic, and you see a series of patient actors. The patients present with all sorts of medical problems and for each one you have exactly 15 minutes to interview, examine, and counsel the patient, and after that, you have exactly 10 minutes to type up your findings, list your work-up (lab orders or additional exams you want to do to find out what’s going on), and list up to 3 differential diagnoses (possible causes of your patient’s problems). In addition, you have to list pertinent positive and negative findings from your patient encounter that would support your chosen differential diagnoses. During the 8-hour exam, you see 12 patients total (5 patients, followed by a lunch break, then 4 patients, followed by a short break, then 3 patients). Among those 12 patients, you may also get one that is a phone encounter in which you interview the patient over the phone. People often say the Step 2 CS is the easiest of the US medical licensing exams, and I can see why they say that, considering that most of us by the time we take the exam, we have already had tons of practice interviewing, examining, and working up patients in real settings. Nevertheless, because of the time constraints, exam formatting, character-limit on the write-up, and scoring system, you still need to make sure you get plenty of practice (with a partner) and studying done in preparation for the exam. The Step 2 CS exam scores you on three components: Integrated Clinical Encounter (how well and efficient you gather data from the patient and present it in the write-up), Communication and Interpersonal Skills (“bed-side manners”), and Spoken English Proficiency (if you are a native English speaker, this should be no problem). All three components must be passed separately in order for you to pass the entire exam. The component that people generally score the lowest is the Integrated Clinical Encounter, and it is the biggest reason why people fail. Because of this, it’s especially important to practice asking the right questions that lead to the most helpful answers, deciding which physical exams to focus on (especially given the limited time you have to do all this), and practice writing notes. Don’t underestimate this exam! While most students may pass, there are people who also do fail, both US and international medical students, and it’s usually not due to English proficiency reasons, as commonly misperceived, but due to data gathering (Integrated Clinical Encounter). While it may be the easier of the medical licensing exams, it still requires practice, practice, and practice! Get First Aid for the USMLE Step 2 CS !! This is THE book to get for this exam. The book is filled with cases that are meant for 2 people to practice together. The cases present the most common cases you’ll encounter on the exam (i.e. headache, hemoptysis, dizziness, etc. ), and explains everything you’ll need to know about the exam. Practice with a real partner, with real medical equipment, and a real timer set exactly at 15 minutes for the patient encounter and 10 minutes for the write up! Type up the patient note on the template provided on the USMLE site because that is exactly how the exam patient note entry form will look like. It’s important to practice typing the patient notes within the word-limit constraints of the exam. Memorize the mini-cases in the First Aid Step 2 CS book. It will make coming up with differential diagnoses a whole lot easier and faster. This is especially important when you first read the patient’s chief complaint before you enter the door to see the patient. With the mini-cases memorized, you can easily come up with a preliminary list of differential diagnoses based on the patient’s chief complaint before you even set foot into the patient room. 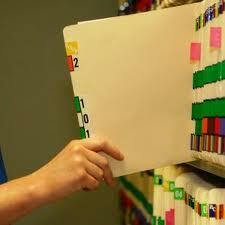 With that preliminary list in mind, you can focus your questioning and physical exams around those possible diagnoses. Get plenty of sleep before the exam! You’ll be more alert and pleasant. Passed Step 1 Mock USMLE Step II CS Comp Studying Time! Preparing for Step I Passed!! 19 comments to Passed Step 2 CS! I am a PA and I enjoy your posts. I’m amazed you have the time and energy to keep up with school and this blog. Parts of your med school experiences reminded me of PA school, especially studying for exams, having live patients to practice on and doing clinical rotations which were called clerkships in PA school. We were told to study the USMLE I in perpetration for the PANCE. So far I have passed the PANCE and the PANRE each time and with ADHD/ADD subtype I felt very happy to pass on the first go around without applying for extra time. (those exams are long enough). I wish you and Irene all the best! Hello Benji, I do not have a comment regarding this particular post; however, I just stumbled across your blog, and I think you are doing some great work here. I can see this being an invaluable resource as I embark upon my own pursuit to medical school. Hey there! First off, congratulations! You’re so close to being done. I have been reading your blog relentlessly, and it’s really been easing my fears. I am in the midst of the 2014 application process. One of the schools I am applying to, obviously, is AUC. I wanted to know your thoughts on matching. I’ve read on your blog and on AUC’s website the percentages, but then when I get on valuemd and other threads some people are talking about how only 50% match. Is this because some of the people who are IMG’s are not taking their coursework seriously (like they did during their undergraduate coursework) and made poor test scores on USMLE. Or is it just because they are all IMGs? I guess I am just fearful that if the caribbean is my only option that I will go into debt and never get matched. I know your’re extremely busy so I hope I’m not bothering you. It just would be nice to know some more from an insight I feel I can trust. One last thing. You gave me hope for my significant other and I. If you and your wife could make it through this than so can my relationship. Thanks for a great blog. Cheers! Congratulations, Benji. It sounds like you’ve worked hard to pass Step 2. We read so much about Step 1, but very little about Step 2, so it’s great to get your perspective, and also your thoughts on why some fail. Thanks Scott. Step 2 is just as important, and sometimes more important than Step 1 in residency applications. Step 2 ck is also longer (8 hours not including break) than step 1 (7 hours) and the passing score is higher (203) vs. the 188 needed for Step 1. Because of this, I can imagine Step 2 being more difficult to pass than step 1. Best of luck! Thanks Benji, this post was quite informative, and congrats as well! There are supposed to be some changes to step 2 cs, come Jan. 2014; I’ve yet to look more into this, but would the current FA for cs suffice? 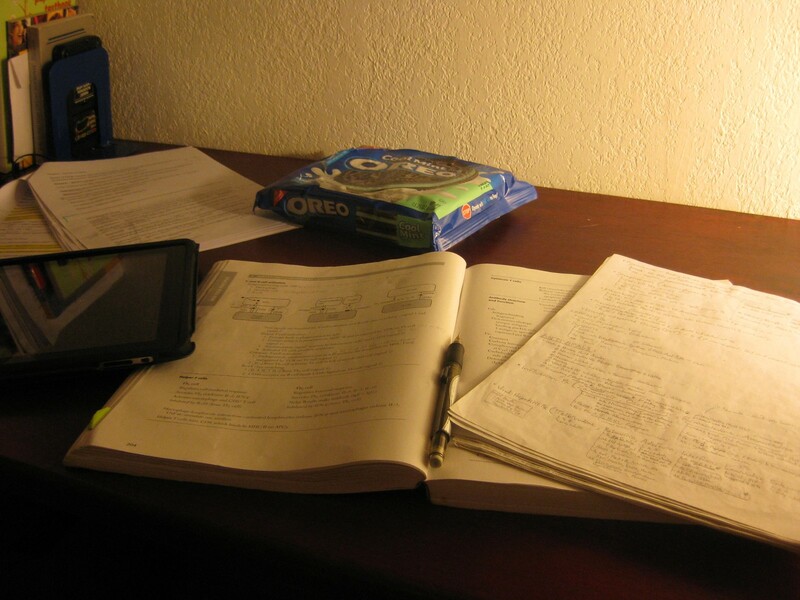 There are changes done all the time to these exams, in Steps 1, 2cs, and 2ck. The changes are often in the passing scores needed, and in the case of cs, the criteria they use for scoring. Sometimes formats change as well, such as when I took it, we had to list pertinent negatives and pertinent positives on our write-up. 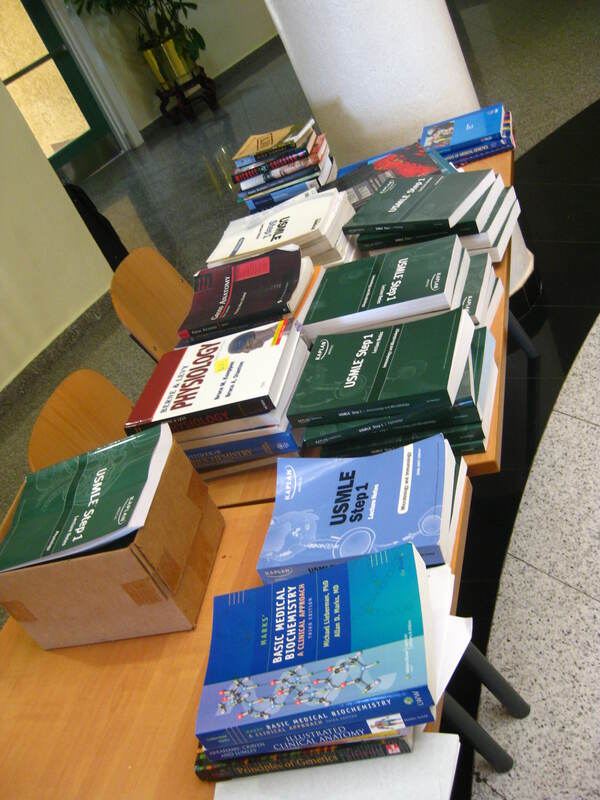 I would always go with the most recently cs book, but if you don’t have it, the basic skills needed and the cases presented (mini-cases and full cases) will be similar to the ones you’ll find on the actual exam, whether or not it is the 2013 or 2014 book. Best of luck! Congrats 🙂 …I want to know that after passing step2 CS, will you get a job in U.S now? I am confused about this and have no such knowledge regarding what’s the next before Step 3. Will you be paid until Step 3 by the government ? 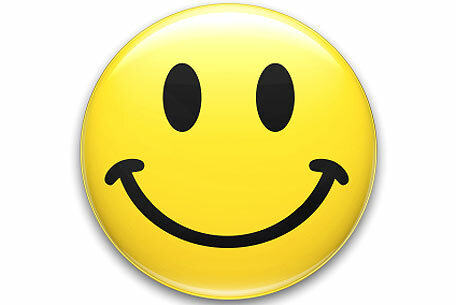 I shall be really thankful to you for your reply! In order to practice independently in your specialty of choice, you must pass Step 3 during intern year of residency, finish residency, and pass the board exam of your specialty. Although I have graduated from medical school, and have an MD degree, I won’t be able to practice independently as a family physician until I complete the requirements listed above. While waiting for residency to start, some new graduates may look for temporary jobs working for a fully-licensed doctor, teach, or work in research. As for me, I currently work full-time at my father’s clinic, seeing patients, writing SOAP notes, doing minor procedures, conducting lab tests, and other medically-relevant tasks. I do everything but send out prescriptions, finalize patient charts, and other things that only a licensed physician can do. My student loan repayment period will start soon, so this is a great way to start making the money I need to repay the loans as well as keep up and expand my medical skills. Thanks a lot Benji:) . I have another query, can you please clarify the Visa problem. I live in Pakistan and I heard even after passing Step 1 and 2 ck, Visa is not guaranteed. Why? Or is there any sort of alternative available to avail Visa faster . Thanks in advance. I’m not familiar with visa applications, since I’ve never had to deal with them. I would contact the agency that handles visas for this information. Best of luck! Congrats on your successes. If you don’t mind, what were your scores for Step 1 and 2? Thanks for reading. The key is to practice, practice, and practice! When writing the patient note, you don’t have much time to think, so therefore make sure you have a routine for which sections to write. To save time and space, also take advantage of using abbreviations. Don’t bother writing complete sentences. Also don’t take too much time thinking of a differential when writing the patient note. In fact, you should already have a differential in mind before you set foot into the room to see the patient. The patient encounter merely confirms or rule out your differential choices. For every differential, you should already know the tests to order, as you can memorize these in the mini-cases of the First Aid Step 2CS book and recall them pretty quickly and easily when writing the patient note on the exam. Hope this helps and best of luck on the exam! I loved this advice. This is what must be done initially before practicing with a study partner. Thank you, good sir!